We were enthralled when we recently received a copy of new craft book ‘Everything Oz: The Wizard Book of Make & Bakes’ by the wildly creative Christine Leech and Hannah Read-Baldrey. The crafty duo are also the creative force behind their prequel book ‘Everything Alice’ featured on our blog some many months ago- do you remember? 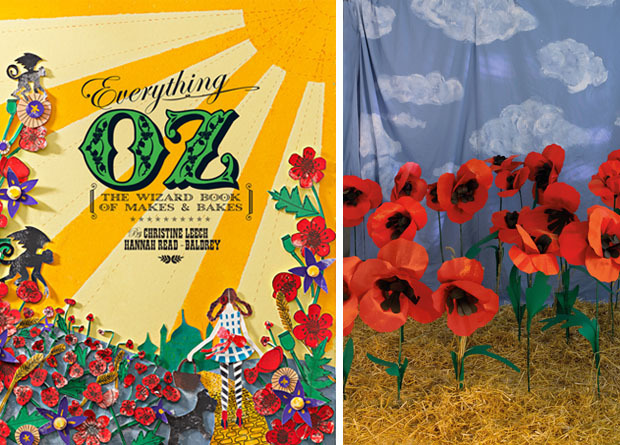 Anyway the new follow up ‘Everything Oz’ based on all the things ‘Wizard Of Oz’ inspired has got our crafty juices flowing. 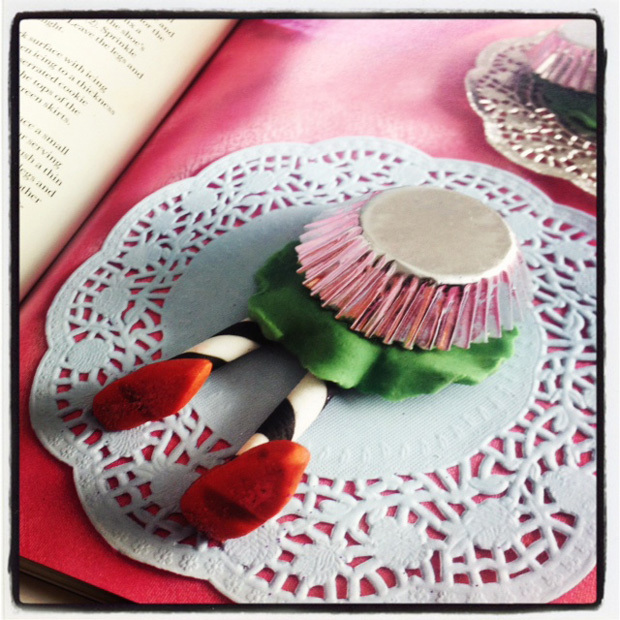 The beautifully designed and illustrated pages feature everything from ‘munchkin hat egg cosies’ and ‘ruby slippers’ to ‘squashed witch cupcakes’! Laura Ashley: What is the fondest memory you have of making the book? Hannah: My fondest memory had to be at the farm; the location was near Christine’s parents house in Sussex and was a very traditional Victorian style farm. The couple who owned it were given a pair of Peacocks as a anniversary gift and hilariously enough, looking at their reflections in our photographer, Verity’s car made them very angry! They jumped on the bonnet, circled it and generally tried to have a big old fight with the VW! It was so funny! Christine: I think shooting at the farm in the pouring rain drinking soup from a thermos flask, sitting on splitting sacks of corn with hens pecking at our feet is something I’ll always remember. Oh and the ‘joke’ Hannah and our photographer Verity played on me which resulted in me being left in a very smelly very dark pig pen with a very big pig for longer than was strictly necessary! 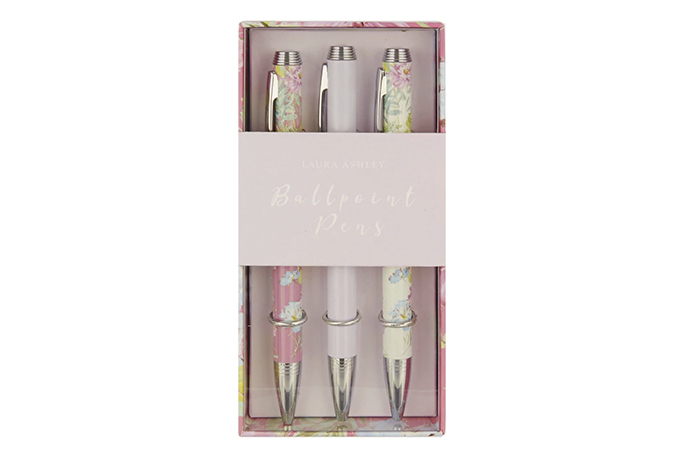 Laura Ashley: What is your favourite project from the book? 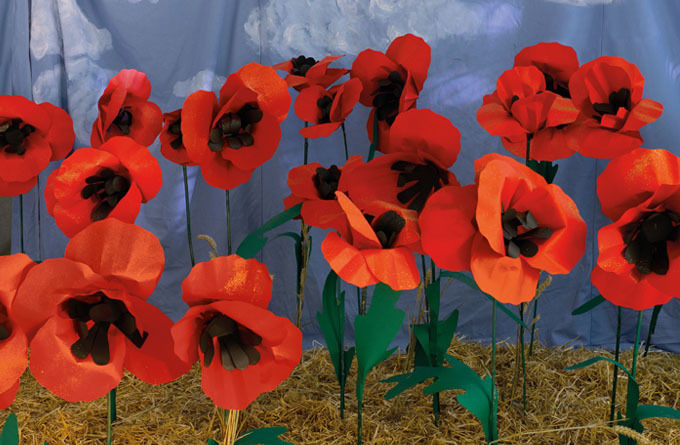 Hannah: I love the field of poppies, we stayed up late at my kitchen table making, what felt like hundreds of them. I designed a weird and wonderful contraption to make them stand on their bamboo stems; drilling holes in planks of wood and glue gunning them in. It was exhausting setting them up, as for three days in the studio (on the hottest days of the year) we had had the heating on full blast. By the end of it I think we all felt really rather sleepy, much like Dorothy did! 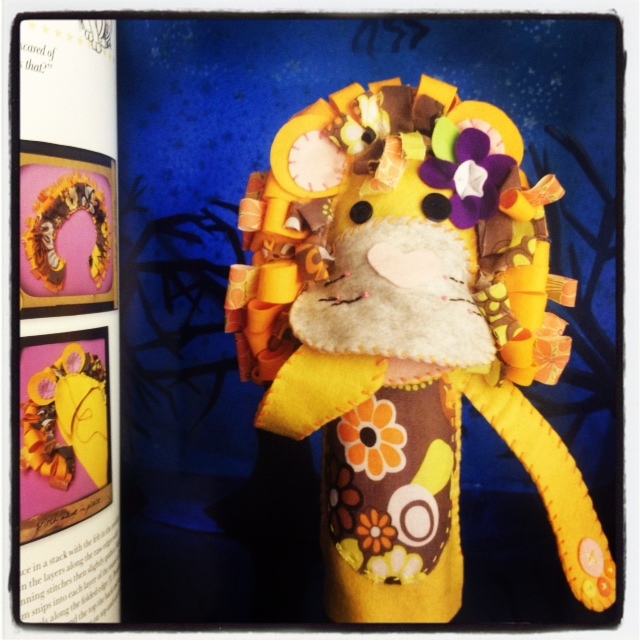 Christine: I love the Cowardly Lion glove puppet, his expression and mane make me laugh every time I look at him. 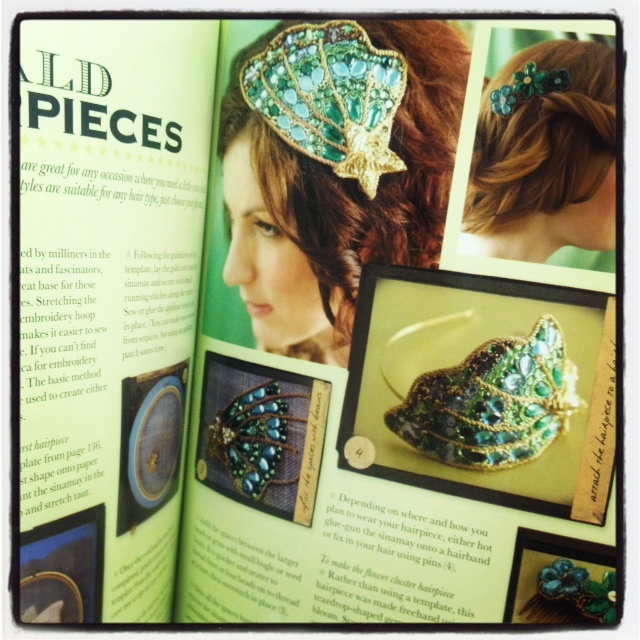 And I’m just waiting for a suitable party to wear the Emerald Hair Pieces. 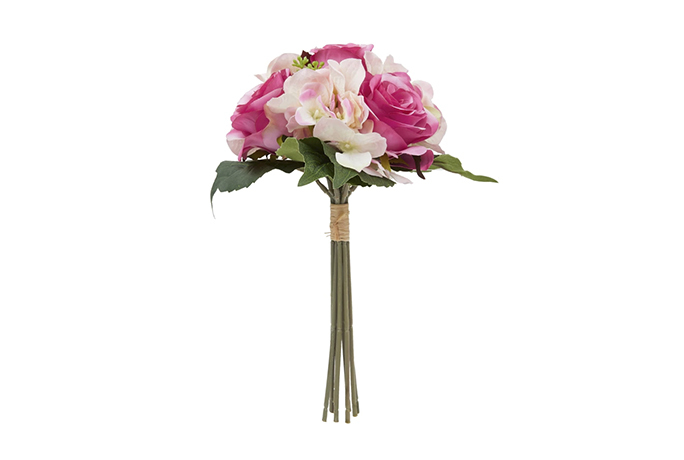 These stunning giant flowers look fantastic in bunches and can be made to any size. 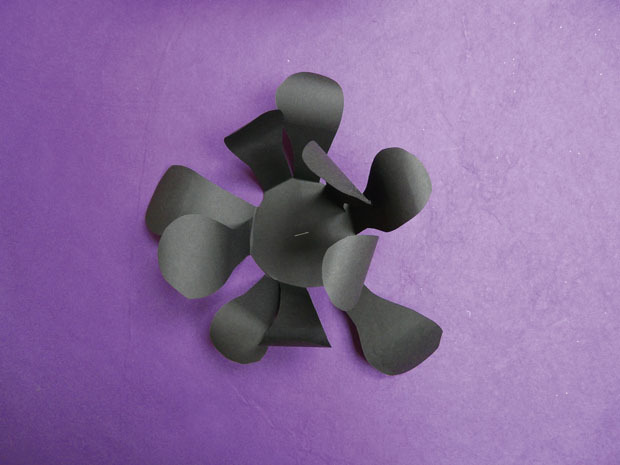 They are great to use big as party decorations, or make in a smaller display for a table. 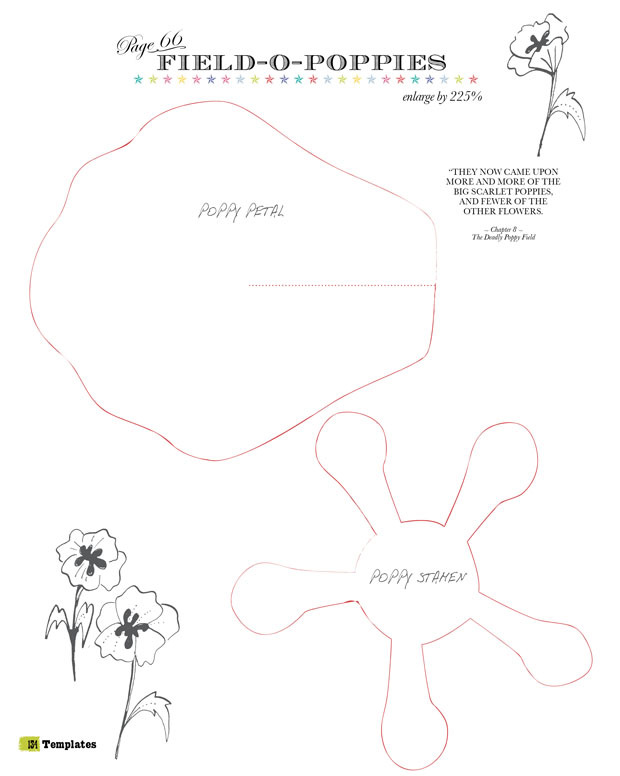 Using the templates below (enlarge them depending on the size of poppies you are going for) for each poppy cut out five petals from red card, two stamen from black card and two leaves from green card. Concertina fold the petals lengthways about three-quarters of the way up. Make sure the center fold is in line with the slit and is a valley fold, in other words it folds inwards. Flatten the petal folds out slightly. 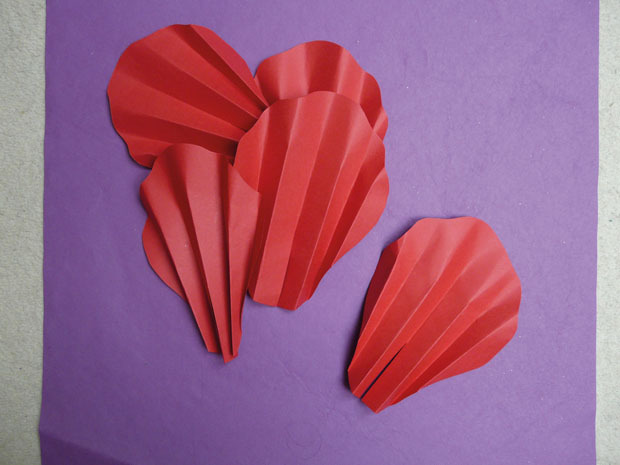 To make the petal 3D, overlap the base of the petal where there is a slit. Staple in place. 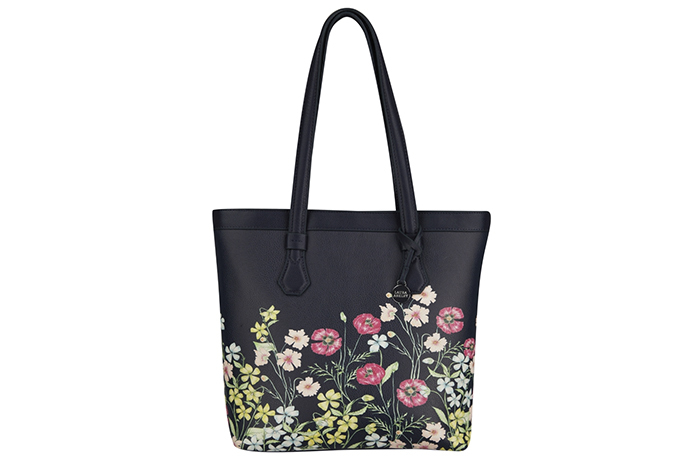 Repeat for all the petals. Staple three 3D petals together in a rough triangle, with two close together and the third slightly on its own. 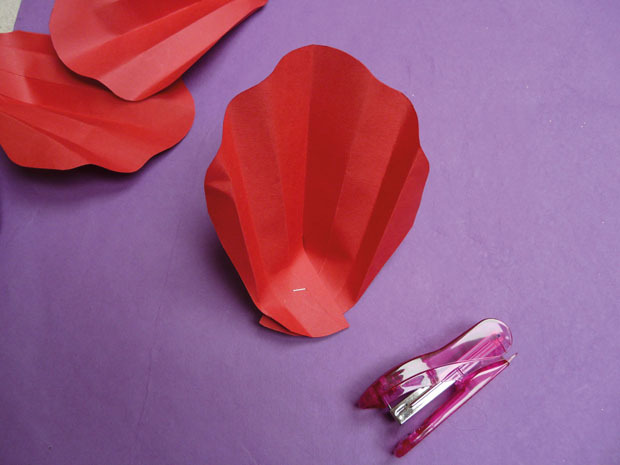 Then staple the remaining two petals either side of the single petal. To create the stamens, fold where marked on pattern and glue one to the other in the middle, make sure the stamens stalks alternate. 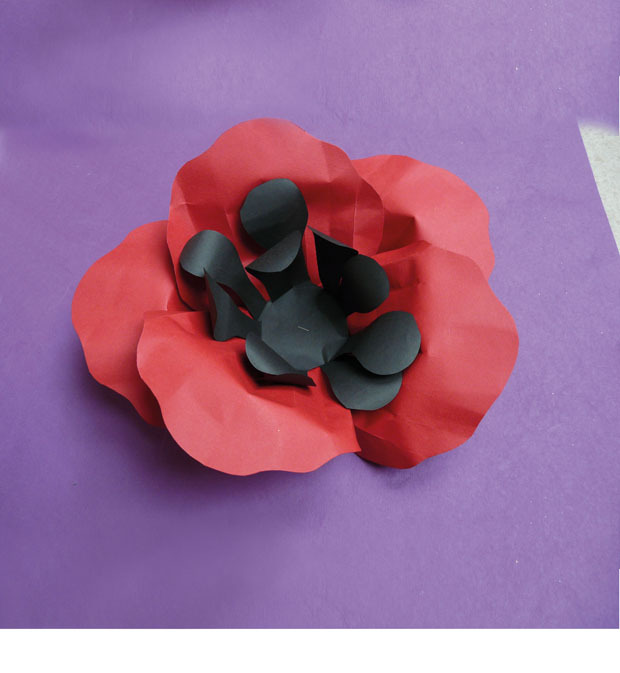 Glue this to the middle of the poppy and gently curl the ends using a closed pair of scissors or your fingers. 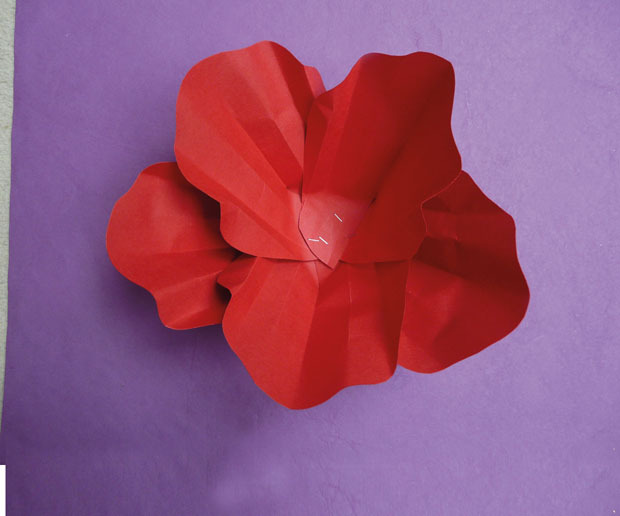 Glue the stamen into the centre of the poppy. 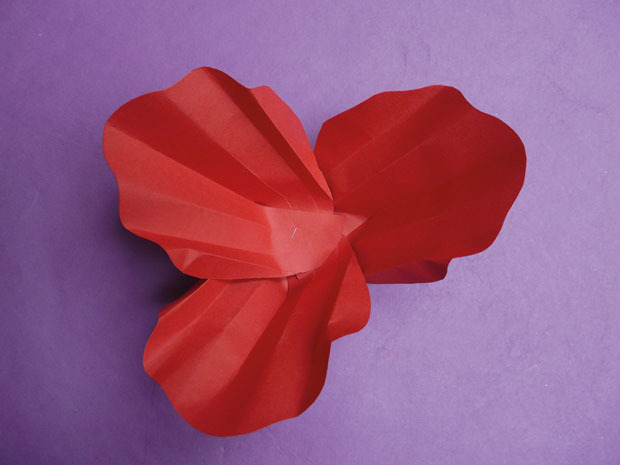 Then fold each petal out and curl at the top. Spray paint your bamboo cane green and allow to dry. Score the leaves down the middle and with hot-glue gun fix them to the cane. 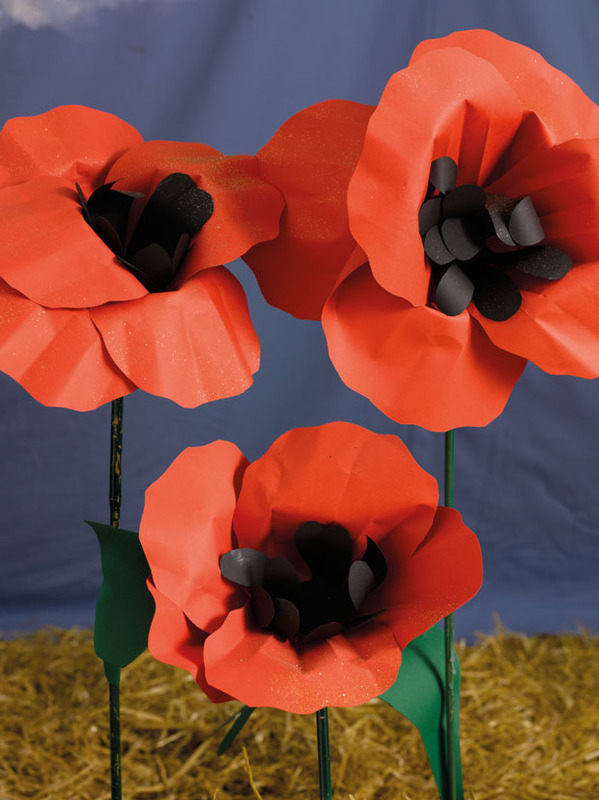 Attach the poppy head to the stem using strips of gaffer tape. Cut four strips of gaffer tape. Cut four strips and stick first three along the underside of the flower down onto the bamboo cane, then the final one wrap around the others to secure. Try to do this as neatly as possible. Having loved Everything Alice, I preordered this book knowing it would be just as good. These two lovely ladies provide so much inspiration and I can’t wait to start making some of the creations found inside this gorgeous book. I made 50 poppies for a school’s 8th grade graduation reception as huge centerpieces at each table. Adorable!! My theme was “Emerald City Grad Night” . Everything was green except the poppies!! It put the “pop” in poppies and was such a wonderfully magical surprise when everything else in the gym was green!! Thanks so much for sharing your idea.